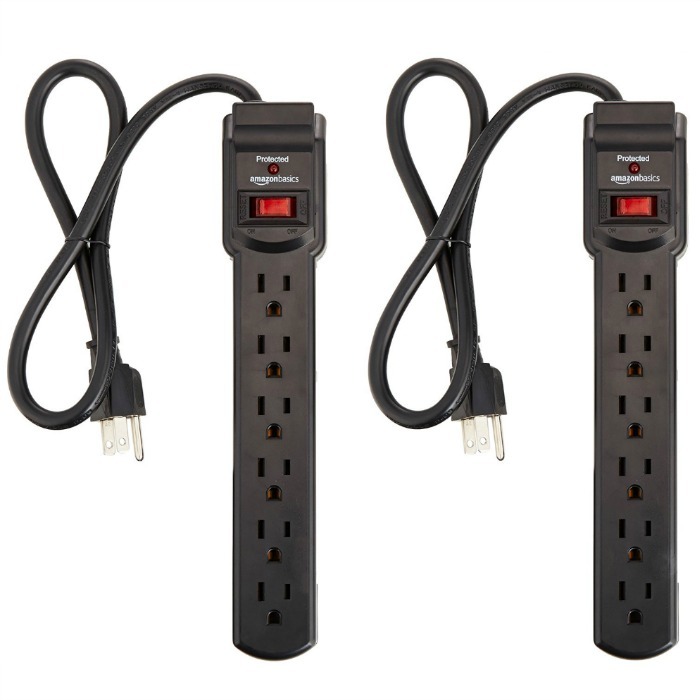 6-Outlet Surge Protector Power Strip 2-Pack Just $8.70! Down From $12! You are here: Home / Great Deals / Amazon Deals / 6-Outlet Surge Protector Power Strip 2-Pack Just $8.70! Down From $12! Amazon has this 6-Outlet Surge Protector Power Strip 2-Pack for just $8.70 (Reg. $12)! When voltage fluctuates, swells, or spikes, it can damage sensitive home electronics. The surge-protector power strips in this AmazonBasics two-pack set create an important layer of defense against fires and damage. Each with a 14-gauge system and 200-Joule, three-line, surge-suppression rating, the surge-protector power strips optimally transfer power and help keep plugged-in devices safe, especially during storms and power outages.